I can not think of any other genre that has managed to carve out such a space in the architecture of contemporary culture than that of Dub music. From it’s conception in the studios of Tubby, Perry, Dodd and many others through to the present day. 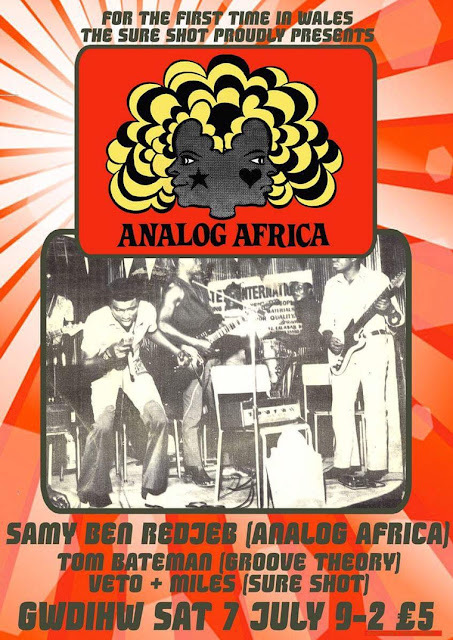 Dub music has with ease melded its way in to and throughout dance music history. Bristol is a perfect example of this sound becoming a part of the city. 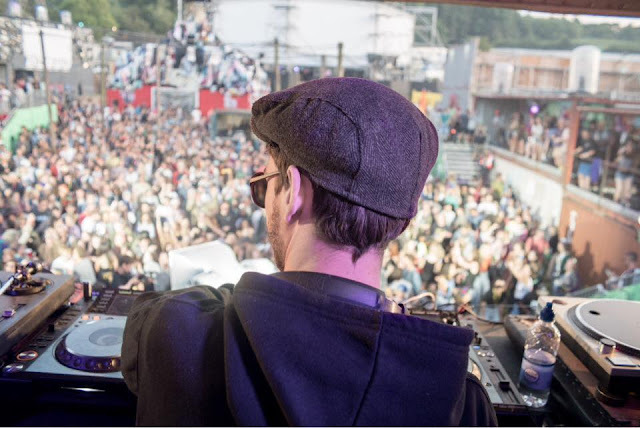 From Jungle to Drum and Bass to more abstract sound experimentations and traditional Sound System meet ups, the city has a vast promoter network and melting pot of genres borrowing and giving back to original Dub sounds. One producer making his own space in this sound is Kreed. Originally from the very Wild West of Wales and now finding his new home and it seems family in Bristol and Boom Sound. 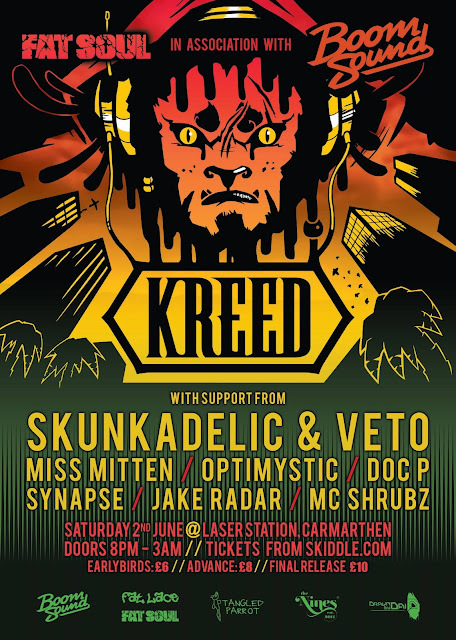 Doc P is bringing Kreed back to his roots on 2nd June at Laser Station, Carmarthen and in line with this presents a very special interview with the man behind the beats. If you love Dub music and Game Of Thrones references, read on. Ready, we ready! Ready, We Ready! 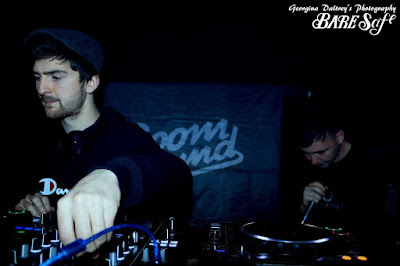 : Doc P interview with KREED (aka Joe Baker) for Electronic Music Wales. Hi there, good day! 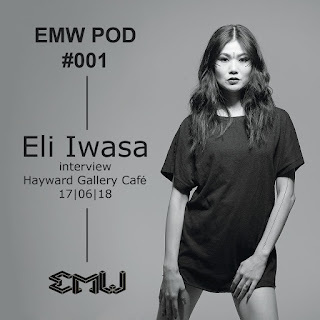 Great to have you with us at EMW, thanks so much for granting us this interview, respect! First off, would you please tell us who you are, and give us a quick outline of what you do? Hey, my names Joe and I’ve been producing music under the alias Kreed for roughly 6 years or so now. My dad is a musician and so that definitely sparked an interest from a young age, he introduced me to all kinds of music growing up. I used to play guitar but when I discovered making beats on computers that was it. 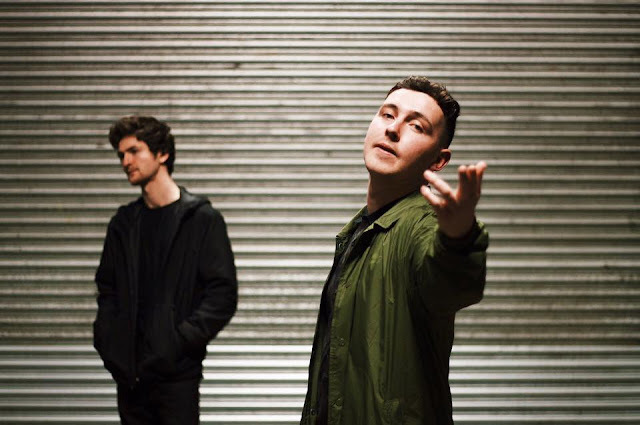 I grew up in Haverfordwest, Pembrokeshire, where there wasn’t necessarily a real strong music scene, but those who are doing bits are passionate for sure. 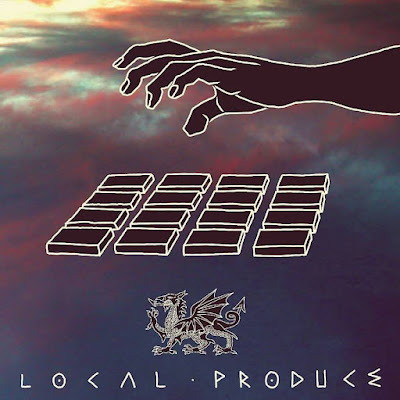 I didn’t really know anyone else locally doing production, but I had a great bunch of mates who encouraged me to push it. Let’s talk influences, I read somewhere that Massive Attacks Blue Lines was a big one for you, and it makes sense you being a fan of theirs. What other artists would you say have been influences for you? Early on my dad put me on to the likes of Massive Attack, Tricky, Radiohead, The Prodigy and that influenced me a lot. Later on though I was just going on a mad one online discovering new things, Literally across the spectrum from Burial, to Noisia, to Ravi Shankar haha. I used to be a real drum & bass head and was also into stuff with weird and experimental sound design. Artists like Break in the dnb world and also Amon Tobin, Culprate etc. Moving up to Bristol 3-4 years ago changed it up a bit. I was already heavily influenced by Mala’s Deep Medi and The Bug etc, but the event Teachings in Dub educated me (as the name suggests) in roots/dub music. Your productions span and encompass genres such as Reggae, Dubstep, Dancehall, Grime, Breakbeat, and Drum n Bass, but at the same time, I would say not one of them is super accurate in describing the Kreed sound as a whole. Do you feel that there is a genre (or genres if more than one) in particular that was most key in your development as an artist, and do you feel there is a way to sum up your musical style today? Thanks! I'm kind of glad it's hard to single one out. I usually say "sound system music" to people because I don't really want to label it too narrowly. It's fundamentally Dub music though, all styles I've been into over the years draw from Dub music. Essentially, I’ve always loved hypnotic drums and percussion, bassweight, and laser noises, which is Dub in a nutshell haha. Genres aside for a second, what do you most hope to push across to audiences/listeners through your music? A lot of the time, I’m trying to accentuate whatever a vocalist has written about. More generally though, I just want to recreate that hypnosis and meditative feel that I’ve always loved at sound system dances. Can you tell us a little about your production style? How does a Kreed track come together? It’s usually drums and bass first, trying to get solid foundations etc. 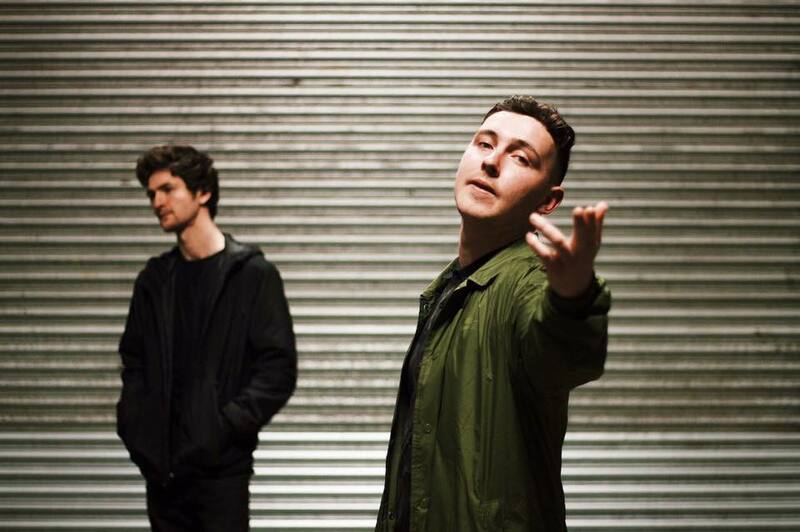 I love tunes that don’t rely on anything else other than those two to put a vibe across. Then it’s just adding the bits around the edges, I love interesting noises, sirens and lasers that keep things moving. What software/equipment did you first start making beats with? And has your set-up and equipment evolved much over the years? I started out with Garageband actually when I was a kid, recording stuff through the computer mic and arranging the built in loops haha. For quite a long time though It’s been either Logic or Ableton, and it’s pretty much all in the box, no hardware. How important are live shows to you? What can audiences expect from a Kreed set in 2018? Definitely a lot more so now than they used to be, I was always so focused on making tunes I never really thought about it. Since being in Bristol it’s a huge part of my life and I love getting to go various places with great people and play my music. Expect sound system pressure! Can you recommend any artists, or tracks, that you would say are smashing it right now? It’s so hard to pick because the UK just has so much amazing stuff coming through right now. In my close scene, I have to big up my Hold Tight family (Halcyonic & G Roots, Dutchie, Muttley, Glume, Ickle), Jman who I think is gonna go down as one of the best MCs in UK history, and of course my man Gardna. You’ve been involved in mad amounts of shows and events over the last few years, do any stand out as being landmarks or particularly crazy? A few come to mind, definitely 'Glastonbury' last year where we did a Boom Sound takeover opening 'Shangri-La' clash stage to 1 - 2k people, never gonna forget that. Also the tour with Mungo's Hi Fi towards the end of last year was a huge one for me. More recently me and Gardna did the garden party at Trinity Centre, and that sort of event in that kind of venue is a big part of why I love this city. How did you come to be involved with Boom Sound and can you tell us a bit about this impressive label and agency? It’s all through Luke Gardna really. A mutual friend put him on to my beats via SoundCloud when I was like 13/14 or something. 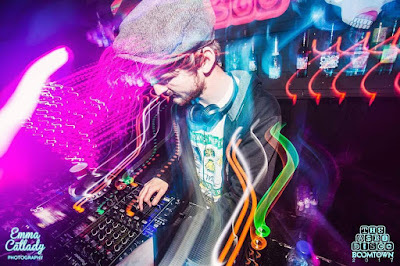 We did a couple of bits over the years and, by the time I moved up to Bristol he’d set up Boom Sound alongside 'Asbo Disco', 'Fat Stash' and 'Wonka', so I linked up with them all and that was it! Couldn’t ask for a better crew, Gardna and Asbo have been instrumental in helping me push my sound over the last couple of years. 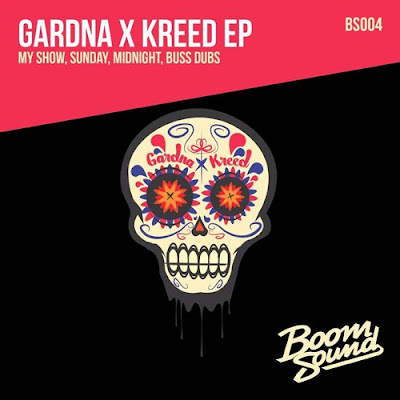 2017 saw the release of your incredible GARDNA x KREED EP on Boom Sound Records. Big up on that one, 4 superb tracks in collaboration with the legendary Gardna, but also featuring the likes of Eva Lazarus, J-Man, Inja and Parly B. Can you tell us a little about your partnership with Gardna for this release, and also how u got five of the UKs best vocalists on one track together for the anthemic My Show? Thanks man. It was a real special one to work on and have to give a huge credit to Luke for that project. Three of the tunes were just demos I had made for gigs and he gave them a mad new life. As for 'My Show', we were in the studio one day and he just plays these verses from Inja and J-Man that he’d been wanting to work with. I was so gassed at the idea and made a quick demo with those verses, then we invited Eva and Parly to come and voice it, and it just turned into this beast. All the vocals are amazing so it was a real pleasure to be involved with. Can you tell us about their creation, and also how you came to have one of the most famous actresses in the world in your video? Shouts to Chris Lucas who directed both of those, he’s a wizard with it. Gardna’s been working with him for a while so they curated it. Maisie and Luke are friends from school, and when she came through for the video I just couldn’t believe it man. She’s just really into the music and a great spirit, what a UK legend! Have you any plans to release another Kreed x Gardna record? Or any other new or upcoming releases you would like to talk about? The follow up is going to happen for sure. Gardna’s working on his debut album and I’ve had a little input there too. I’m also doing a solo project for Boom Sound, which has been in the works for a long time, really excited about the features on that one. How’s the year ahead looking for Kreed? Where can people catch you live? Iíve seen you are playing Boomtown once again, many more festivals lined up? Anything in the coming months you are majorly looking forward to? Kicking off festival season with 'Love Save the Day', Bristol, and me and the Boom Sound family are also heading to 'Wonderfields', and 'Illusive festival' later in the year. 'Boomtown' is gonna be a special one, running tunes at my favourite spot at the festival, 'Tangled Roots'. Got a few dates lined up in Bristol, also excited to head back home to Wales for the first time in a while - 'Fat Soul @ Laser Station, Carmarthen'. Ready we ready! Cheers Kreed! Thanks so much for your time and insights, it means a lot to us! Big up from myself, and all at Electronic Music Wales .